We all love it when we get a new advance in technology which means some new and exciting service we can use, don’t we? How much did we all love it when contactless payments came about, meaning we could just tap our plastic on the machine and ching! items paid for?! Lots. In fact, contactless became that popular that the maximum spending amount rose to the highest it has been yet – £30 – in September 2015. Remember, this was just £10 when the payment method was first introduced back in 2007- can you believe it has been around that long? We can’t. 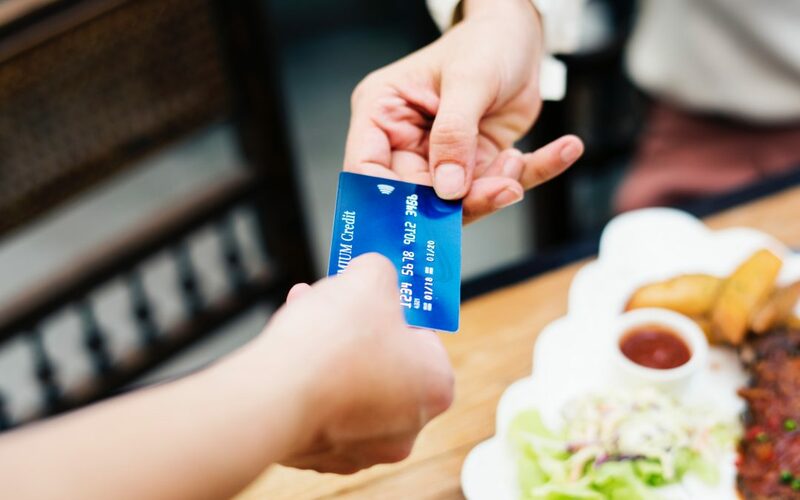 With the majority of bank cards now being issued with the contactless feature enabled, we are, as a population, enjoying the quickness and easiness of making small purchases in just seconds. There is no more waiting around to enter pin numbers or signing on the dotted line, we just simply hold our card to the payment machine and we are done. But did you know, fraudsters are taking the utmost advantage of this feature, as it is so easy to use someone’s card to make a payment, or several payments, before they even notice it is missing? What’s more, fraud in this way is significantly on the rise; during 2017, £711,000 was reported as stolen by fraudsters making contactless payments, but during 2018, this rose to a huge £1.8m.Though the majority of cases reported aren’t overly huge, ranging between £90 to £652 on average, one contactless fraud case reported a whopping £400,000 stolen! Not only are people finding their cards are being stolen and used before they have time to block or cancel them, but these oh so lovely fraudsters are also using devices which work to intercept messages cards send, in order to steal the person’s data. Though the maximum spend is £30, remember this is just for one transaction; before you realise your card is missing ten of these £30 transactions could have been made, swindling you out of a hefty £300, not ideal! Figures have shown that contactless was used more than the traditional method of chip and pin from June 2017 to June 2018, so it looks like we really do prefer this quick and easy piece of technology. So how can you make sure you don’t fall victim to these fraudsters? Well, unless you want to insert your card into the machine each time you make a purchase and enter your good old pin number, you can’t really prevent your card falling victim to the smart devices of fraudsters, who manage to obtain your personal data with their clever technology. However, you can take extra care to ensure you do not lose or leave your card open for stealing. Always make sure wallets/purses/handbags containing your cards are kept with you, or at least in your constant view. Also, and here is something to really think about for those of us who like to go out on a weekend and let our hair down – should we really be taking our cards out with us? You know how it can go, few too many drinks and your wallet or purse goes missing, card and all, sometimes it can be a while before we even notice. So, maybe on occasions like these, we really are better off carrying that retro paper stuff they call cash with us instead of our plastics. This way, at least if our purses or wallets do go missing, they are only getting their hands on a set amount, and not being left free to make as many contactless payments as they can before we realise and get the cards blocked. We hope this has opened your eyes a little as to how easy it really can be for fraudsters to get their hands on your hard-earned cash, so make sure you always keep alert to these things- check your online banking as often as you can, make sure you always know where your cards are and seriously consider carrying some cash instead on a night out. Oh, and don’t say we never give you top safety tips! Flinders, Karl. ‘UK Contactless Fraud Doubles.’ Computerweekly.com https://www.computerweekly.com/news/252455342/UK-contactless-card-fraud-doubles?fbclid=IwAR1srfWlINbh5PNl8Ph3KsDZMnQEHf16kpIIUC0g81S2gG4SVBKQR2f4gxc(8 January 2019). Blunden, Mark. ‘Surge in Contactless Card Fraud – Stealing £1.18m in 10 Months.’ Standard.co.uk https://www.standard.co.uk/news/crime/surge-in-contactless-card-fraud-stealing-118m-in-10-months-a4030256.html(8 January 2019).